Farooq will begin his path towards a potential crack at the Caulfield Guineas or Victoria Derby when he goes in Saturday's Exford Plate, trainer Tony McEvoy has revealed. Farooq won a modest benchmark race over 1250m in Adelaide on his last start but McEvoy says there is much more to come from him, starting in the Exford Plate over 1400m. Farooq is 100/1 to win the Caulfield Guineas in October. McEvoy is certain he will love the wide open expanses of Flemington when he steps out on Saturday and is happy with the shape he is in. "Farooq won his first start in South Australia by six lengths and then I ran him straight into stakes class and he ran fourth twice - he didn't have the best of luck on both occasions but was very competitive," McEvoy said. "He returned well with a nice win over 1250m and I'm looking forward to stepping him up in grade at Flemington. 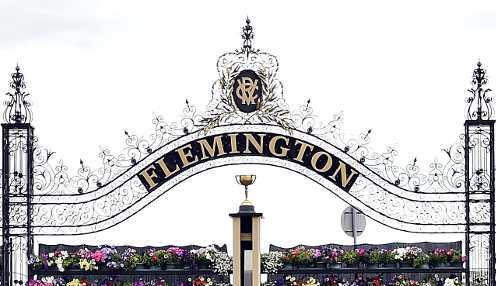 "He is a big horse and he will love Flemington and that race will give me more information on whether I start maybe looking at the Caulfield Guineas or the Victoria Derby for him. But I do have two other very promising young horses in the Exford as well." Those two horses he mentions are Crockett and Unfair Dismissal. "Unfair Dismissal and Crockett are very promising young horses and I will know a lot more about them after next Saturday," McEvoy added. "With Crockett, we had been trying to put him in a spot in his races but last start I said to Regan Bayliss just to let him relax and finish and he came to the outside and was very impressive. "We will see where the Exford takes him, that will hopefully put him on a Caulfield Guineas path. I am also looking forward to seeing how Unfair Dismissal will acquit himself in spring."